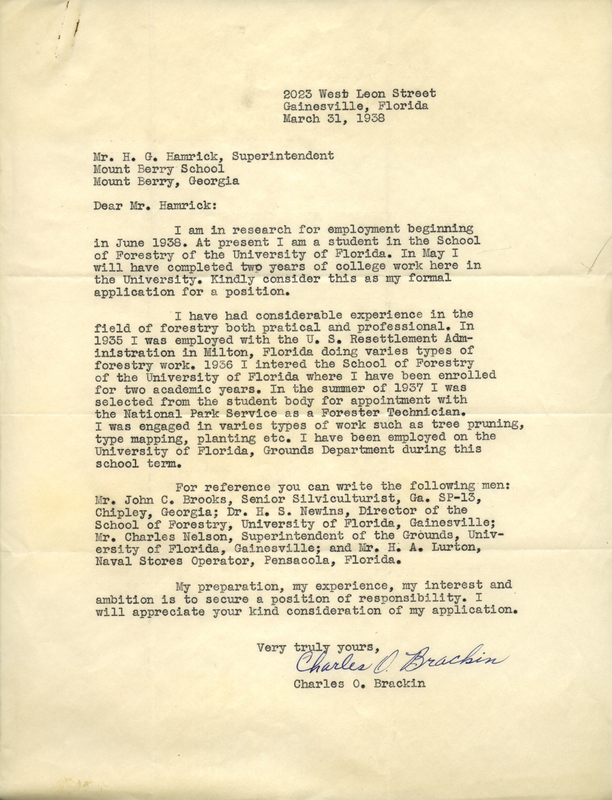 An application for a position in forestry at Berry College by a student from the University of Florida. Charles O. Brackin, “To Mr. Hamrick From Charles O. Brackin.” Martha Berry Digital Archive. Eds. Schlitz, Stephanie A., Savannah Harris, Jessica Hornbuckle, et al. Mount Berry: Berry College, 2016. accessed April 22, 2019, https://mbda.berry.edu/items/show/14437.